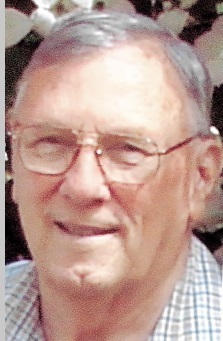 Delroy Lechelt Obituary - Oak Harbor, Washington | Whidbey Memorial Funeral & Cremation Service, Inc.
Delroy K. Lechelt, was born on August 30, 1931 and passed away on December 28, 2018 at the age of 87. On August 30, 2018 Delroy (Del) Kenneth Lechelt celebrated his 87th birthday in the house he built in Scatchet Head overlooking the Puget Sound. He lived there for 25 years with his wife, Jacqueline (Jackie). Del was born in Kennewick, WA to Helen and Kenneth Lechelt where he joined his older sister, Doris. Del grew up on the Columbia River and never lost his love of the water. He fished, hunted and camped with his family all over the Pacific Northwest. As a young boy, he mastered the art of taxidermy and still has a collection of his work. He collected samples of barbed wire and fashioned sculptures with them. He graduated from Pasco High School in 1950. Following graduation, he joined the Navy and was deployed to Korea. Upon discharge from the military in 1953 he enrolled in the University of Idaho where he was a member of the Delta Chi fraternity. Del won a talent contest as a vocalist while attending the University. In December of 1953 Del and Jackie were married. For 32 years Del was a salesman for NABISCO winning many awards and sales contests which he claimed were for the "best looking" salesman. Del and his family lived in Bellevue, WA for 28 years during which he coached his son's soccer team for 10 years. In his spare time, he bought and remodeled several properties. Upon retirement in 1991, they bought the bluff property on Whidbey Island and he began designing their dream home. They moved to the island in 1993 and lived in a fifth wheel while he built their house on the bluff. Del leaves behind many memories but especially precious is the memory of the mischievous twinkle in his eye and his wry sense of humor. Del is survived by his wife of 65 years, Jackie, his son Mitch and daughter-in-law, April, of Arlington, TX and daughter Michele and son-in-law, Mark Cardon of Lake Stevens, WA, grandchildren Chelsea and Travis Pemberton of Dallas, TX, Shayne Lechelt of Austin, TX and Kaeleigh McHenry of Mill Creek, WA. His family wishes to extend their gratitude to the Hospice team of Whidbey Health with special thanks to Erika, Delores, Ryka and Jessica who took such wonderful care of him.